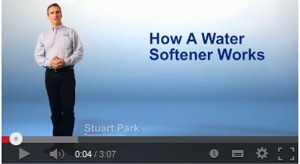 Following are some frequently asked questions about water softeners. If you have questions that are not answered here, please call us at 063-89290 or email info@perfectwater.ie and we will do our best to answer your questions. A. Hard water is usually when the concentration of calcium bicarbonate (lime) and magnesium salts is greater than 100 parts per million. Q. How do I know if my water is hard? A. Water which contains high concentrates of lime, will show white (lime) deposit on shower heads, taps, kettles, and also a whitish scum or residue on baths, tiles (especially dark colour tiles), sink, etc. In severe cases you will need to de-scale kettles. 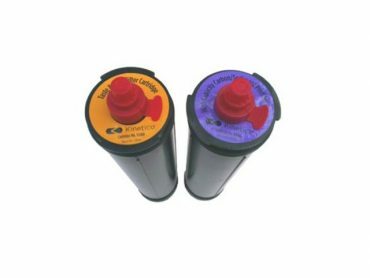 Alternatively, a simple test-kit is available from Perfect Water Systems. Q. How will hard water affect my household? A. Hard water, depositing lime everywhere it flows, will coat your pipes, hot cylinder, taps (distorting flow on tap diffuser), shower immersion, shower head, kettle, and heating burner and system. It will also cause you to use twice the amount of soaps & detergents, and require de-scaling of kettle. Q. How will hard water cost me money? A. Expensive maintenance, by excessive cleaning of scum/scale on bathrooms & kitchen sinks, and de-scaling of kettles will cost time & money. However greater expense will be incurred by replacement of heating radiators, pipes & burners, coupled with expensive repairs/replacements of items such as showers, immersions, washing machines and dishwashers. Lime can concentrate heaviest of all in copper cylinder (hot press). Q. Does lime coating cause reduced efficiency, extra fuel consumption, and damage to the environment? A. Yes. Up to 40% inefficiency can be caused in heating systems, by limescale build-up on pipes. Q. Can anything be done to rectify damage already caused from lime? A. Yes, soft water will slowly reverse build-up on pipe work, by eroding lime away, as it can now ‘pick up lime’ instead of depositing it. Q. How much salt will I use and is it expensive? A. 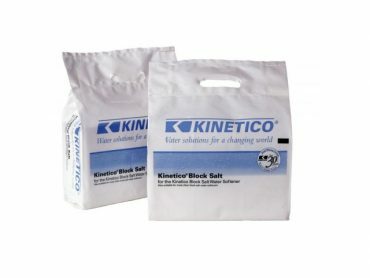 Salt costs €11.00 per 25 kg bag. The average family would use one bag per month. Q. Why would I want to soften my water? A. It greatly reduces the scale formations on your electrical and water appliances, it is softer on your skin, hair and clothing and your heating system will be up to 40% more effective. Q. 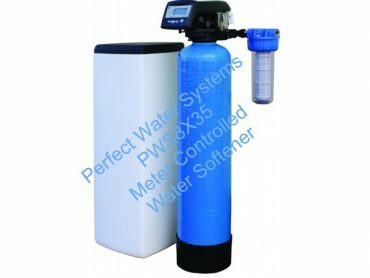 There are many companies selling water softeners. Why should I buy your system? A. We are in business since 1995 and are a reputable company with many years of experience, training and knowledge. Our Five and Ten Year guarantees ensure your peace-of-mind and our extensive client list speaks as to the continued quality of our products and services. Finally our emphasis on our after-sales service is unrivalled throughout our industry and we provide a 24/7 call out service. If your question is not answered in this section; please contact us at 063-89290 and we will be happy to help.